It’s time to get shaken, not stirred! 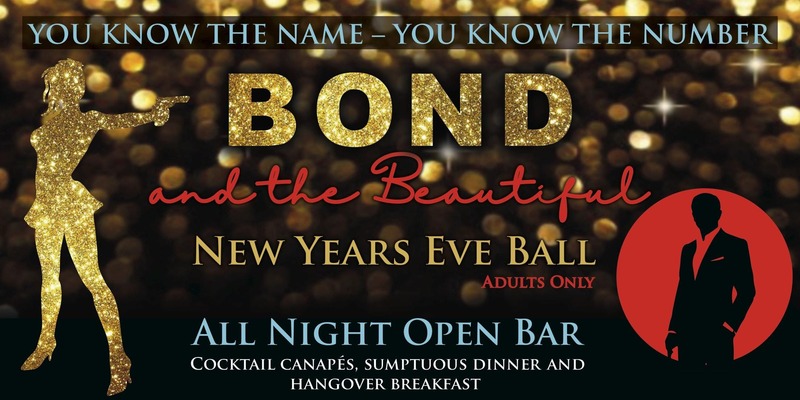 Ring in the New Year at Bond & The Beautiful New Year’s Eve Ball at Tamarind! Dress up in your most flamboyant and flashy outfits to welcome 2019 with a night full of good food, bubbly, fabulous vibes and a stunning Victoria Harbour view. Party with your friends at the pre-dinner cocktails and canapé, savour a sumptuous dinner buffet and an all-night OPEN BAR with wine, beer, spirits & free flowing BUBBLY. Don’t forget to chill out at the Terrace Lounge overlooking not only the beautiful Harbour view, but also the Hong Kong Island Skyline at Tamarind’s outdoor terrace. Enjoy a scintillating dance by the Bond Girls and you can dance all-night-long with our Resident DJ’s hit music. Toast 2019 with countdown fireworks at midnight and the celebrations continue at Bond’s Shooters Bar! We will also prepare a delectable Hangover Breakfast at 2am for your first meal of the year! A night from 8pm till very late…. Reserve your tickets and ring in 2019 at Tamarind in style!